Yooka-Laylee released last month after years of waiting, and overall I think it was a success at what it set out to do. (Here's my review in case you were interested.) There's a lack of polish here and there, but I found myself enjoying the game more often than not. There are some annoying areas and moments in the game, however. Did anyone like that dark cave in Glitterglaze Glacier? Another problem the game suffered with were mostly less than stellar boss battles. This is where Bad Boss Battles in Gaming History comes in, documenting one of the more obnoxious of the six battles in the game. 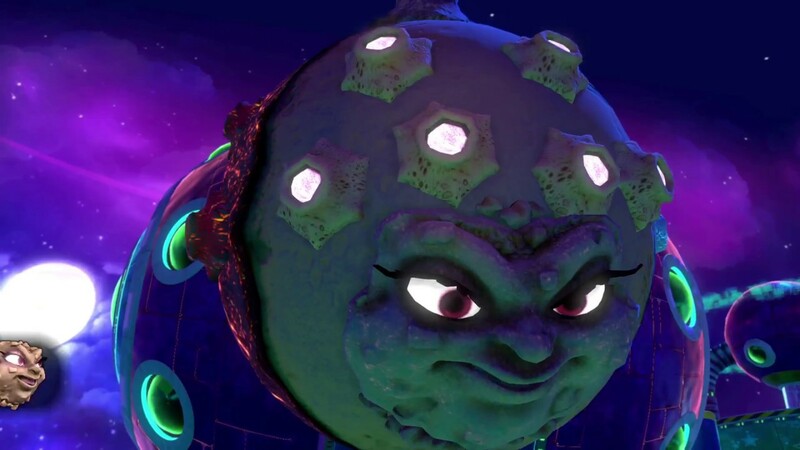 Planette is understandably none too pleased when Yooka and Laylee, in pirate ship transformation form, unintentionally blow up her moon boyfriend (all he wanted was someone to scratch his itch). She gets so upset that she decides to defeat the lizard and bat pair with an interstellar lesson of her own. 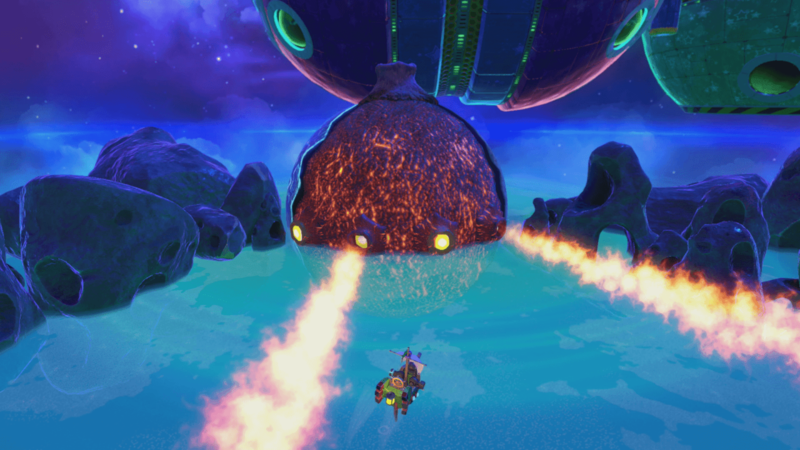 The fight takes place in a closed off area as players control Yooka and Laylee as a hard-to-control pirate ship, avoiding falling meteors in between evading flamethrowers, onslaughts of shooting rocks, and balls of ice, depending which of her "faces" is showing. You need to use the appropriate weapon of the ship to counter and deal damage to Planette, so if her current "face" shoots out ice balls, you need to use the boat's flamethrower to destroy the cannons. The problem here is what I previously mentioned-- the boat is just too hard to control. It makes an otherwise manageable battle pretty vexing instead of mostly enjoyable. With enough patience in the amount of retries you may have to do and just trying to destroy the cannons before they can deal too much damage, Planette will get defeated for good, much more humiliating than being downsized to a dwarf planet like Pluto! Between the boss that requires you to roll up a steep ramp while avoiding falling logs (or get hit, slip, fall, and hit every log on the way down) to the Kartos mine cart-related boss in Capital Cashino, the boss battles in Yooka-Laylee are indeed what I think is the biggest weak spot with the game. Samus Aran explores multiple areas on the planet Aether in Metroid Prime 2: Echoes, the followup to, you guessed it, Metroid Prime. 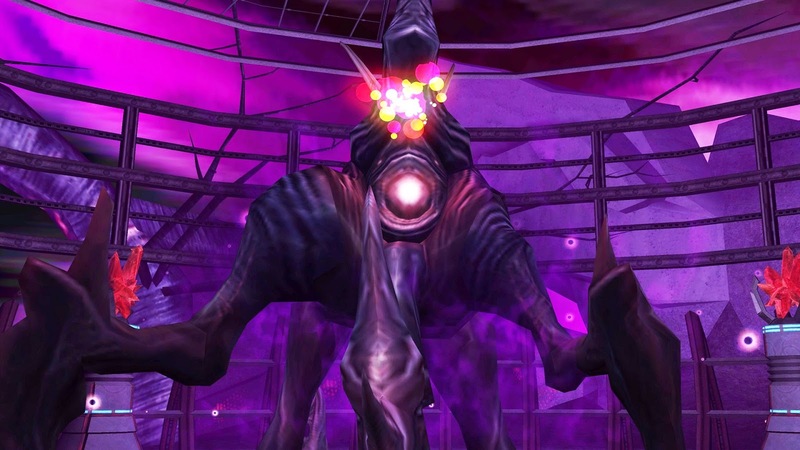 Samus enters into two dimensions in the game, the current, normal Aether and Dark Aether, a dimension which has poisonous air that damages the bounty hunter at a consistent rate. Generally there are safe zones where Samus (and players) can take a breather and remove themselves from the deadly air. The battleground where she faces the Boost Guardian is not one of those places. The point here is that you could be doing marvelously at the battle, but then succumb to a seemingly endless barrage of attacks that you just can't avoid. As in, seriously can't avoid not because of your skill level (or lack thereof), but because the boss and Lady Luck just don't like you at the moment. 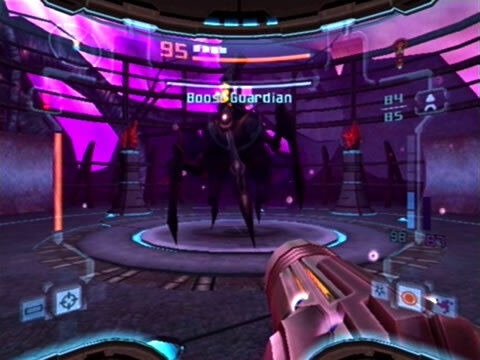 The boss was so bad that it was altered a bit for the Wii re-release as part of the Metroid Prime Trilogy. If that doesn't say enough, then I don't know what else I can tell you. 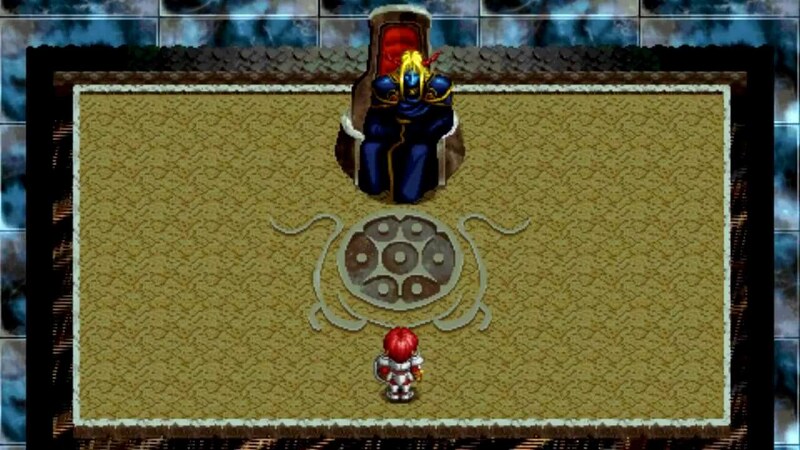 The very first Ys, Ys I, required the player to move the protagonist, the red-haired Adol Christin, near enemies to have him automatically attack them. In the process, Adol could take damage if he stayed too close to a foe for too long. This made many boss encounters quite challenging. None in Ys history are more challenging AND frustrating than Ys I's final foe, Dark Fact. Imagine, if you will, a rectangular battlefield where the defense that one must take is narrowly avoiding attacks performed in a bullet hell-like pattern. Every hit you take causes a random piece of the floor to fall away. This leads to an unwinnable scenario where all you can do is stay put and die as Dark Fact takes you out. As you have to get close most of the time to attack the final boss of Ys I, this is a tremendously difficult challenge to overcome. Many players clenched their fists with rage at the ridiculousness of the encounter with Dark Fact, and understandably so. Violen is one of the X-Hunters in Mega Man X2, a trio of three Reploids that want nothing more than to see Mega Man X turned to scrap. Violen also stands as the toughest of the three X-Hunters to take down, and why he can be hard is what makes him a bad boss to me. What's the reason, you ask? Well, his main means of attack is gigantic ball and chain. That's fine so far, but it bounces along the wall and ceiling as well. Sometimes this is in predictable pattern, but most often than not the giant spiked mace randomly bounces around the arena, inflicting heavy damage to X when he gets hit. The angles in which the ball bounces are strange at best and impossible to dodge at worst, making the battle(s) with Violen a war of attrition (and uses of Sub-Tanks) than anything else. 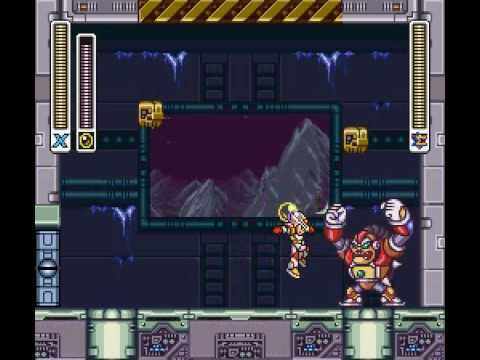 By no means impossible or overly difficult, but in a series where bosses have readable patterns to learn and master by properly countering against them, Violen from Mega Man X2 sticks out like a sore thumb (one bludgeoned by a spiked ball at the end of an extending chain). The 8-bit version of Sonic the Hedgehog 2 saw a Sega Master System release as well as a Game Gear port. We'll be focusing on the latter game, though the anti lion mech of the first zone of the game, the Underground Zone, could be plucked from either version. What makes the Game Gear version of the boss so egregious is the limited real estate you get on the screen. But I'm getting ahead of myself. The boss requires Sonic to move on a slope as boulders dropped of one of three randomly chosen movement speeds. The goal is to have the dropped boulders hit the ant lion-like mech monstrosity by having Sonic leap over them. Not only do the boulders bounce, but every boss in the 8-bit Sonic the Hedgehog 2 must be faced without rings. Get hit, and you must start over from the beginning. This is compounded by the limited screen space, limited amount of lives, and the fact that this is the first darn zone of the game. Several kids growing up with Game Gears and copies of Sonic the Hedgehog 2 did not get very far with the game for one reason-- that blasted ant lion mech!